Workshop: Finding Balance - Reclaim Your Time and Live a More Fulfilling Life from Ready2Go Marketing Solutions, Inc.
Life balance is something that many people strive for, and yet, it seems to elude them. At just the moment when life feels like it’s “in balance,” something happens to throw it off. Some people continue their pursuit of balance; some throw in the towel; and others never bother with life balance in the first place. Life balance is not a permanent or absolute state. It’s actually a state of mind where you make continuous small adjustments to achieve fulfillment. It is dynamic and elusive. Even though absolute balance may be impossible, the good news is that you can become aware of where your life is imbalanced and take steps toward improving your balance. You possess the ability to catch your balance or to move toward a state of balance, just like you do when you misstep or lose your physical balance. In this workshop, your participants will discover how life balance is all about the choices they make. They have the ability to make micro-adjustments that are needed to continually keep themselves moving toward balance, which ultimately makes them feel more fulfilled. Your participants will explore their current state and their desired state, look at the choices they are making, identify obstacles that may be preventing them from achieving balance and the resources to help them get there, and set a plan to move toward balance. It’s the little things that can make a big difference. And little adjustments in life can have a big impact on life balance. What choices do we make when our resources are limited? This component features a shopping spree in which participants have to make decisions about how they will spend their money. It’s a parallel for how people spend their time, another limited resource. What is the process for finding balance in life? This component features a brief lecture in which the trainer gives an overview of the four phases of finding life balance. What happens when you live your life without giving it your full attention? This activity simulates the results people get when they aren’t paying full attention to their lives. Awareness: What Is My Current Situation? This component has participants assess how they currently spend their time so that they can begin objectively assessing their level of satisfaction. Awareness: How Satisfied Am I? This component has participants use a 1-10 scale to determine their level of satisfaction with how they currently spend their time. Awareness: What Dissatisfies Me About My Current Situation? What dissatisfies me about my current situation? This component has participants describe what is dissatisfying about some of their life activities. Awareness: What Satisfies Me About My Current Situation? What satisfies me about my current situation? This component has participants describe what is satisfying about some of their life activities. How is a balloon a metaphor for life? Participants blow up a balloon and describe how it is a metaphor for life. Desire: How Do I Want to Spend My Time? Participants re-design their lives by deciding how they WANT to spend their time. Desire: What Excites Me About My Desired Activities? What excites me about my desired activities? Participants describe what excites them about the way they’ve re-allocated their time. What obstacles threaten my life balance? Participants “pay” for obstacles that need to be overcome. Influences: What Obstacles Might Keep Me from Enjoying My Desired Life? What obstacles might keep me from enjoying my desired life? Participants identify internal and external obstacles that exist within their lives. Influences: What Resources Will Help Me Achieve My Desired Life? What resources will help me achieve my desired life? Participants identify internal and external resources that exist within their lives. Participants transfer the information they’ve collected so far and write it on the activity sheets. What is the difference between little actions and big actions? This component shows participants that even little actions can have a big impact on their lives. Action: Where’s My Focus Going to Be? Where’s my focus going to be? Participants choose one area of their lives to focus on for the purpose of narrowing down the actions they will be taking. Action: What Is My Plan of Action? What is my plan of action? Participants create an action plan focused on one area of their life that will take them closer to finding life balance. 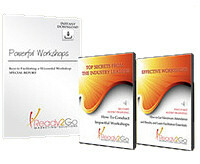 What from this workshop do I want to take and apply in my life? This component includes an activity that reviews the four phases of life balance and an activity in which the participants describe their biggest learning from the workshop. By the end of this workshop, participants will have created a plan to bring more balance to their lives. They will have assessed how they would like to be spending their time, the obstacles that might be standing in their way, the resources that will provide support, and the joy of living a life that is more fulfilling than they are currently experiencing. Participants in this workshop will take a hands-on approach to learning what it takes to find life balance. They will learn practical and motivating techniques for creating awareness, discovering their desires, addressing obstacles, embracing resources, and taking action toward achieving a more balanced life. Gaining awareness about how I am spending my time and how I’d prefer to spend my time. You can’t manage or change the things you can’t see. By becoming aware of the gap between how you spend your time and how you’d like to spend your time, you empower yourself to make important changes. Determining why I want to change how I spend my time. Change becomes unavoidable when the pain of the current situation reaches a threshold of being intolerable. Change is more easily sustainable when you are clear about the benefits and the joy that will come about. Identifying the obstacles that hinder balance and the resources that support finding it. Obstacles will present themselves, but they don’t have to make your desires impossible. Some are beyond your control, but the ones that are within your control can be eliminated or minimized. Resources are available to you. Sometimes you need help recognizing or accessing them. Establishing the actions you will take to achieve more balance. Focus on what you have control over and keep your efforts manageable. Don’t bite off more than you chew at first. You can always develop a bigger appetite later. Make a commitment to the actions that will help you find more balance so that you can have the best life possible and be around for others to love you.